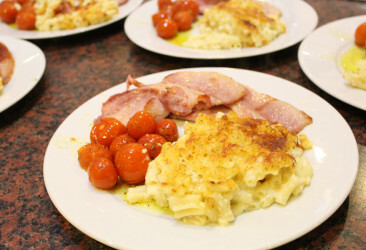 Macaroni cheese, roast cherry tomatoes & Mathews thick cut bacon. Winter Warmer – Easy Oxtail Stew. Boned Pheasant stuffed with Pork sausage meat and wild mushroom.